Leading Scotland earlier this year in April at the Gold Coast 2018 Commonwealth Games, Gavin Rumgay is the leading name on duty in the Men’s Singles event at the forthcoming 2018 ITTF Challenge, DPR Korea (Pyongyang) Open. A two day qualification tournament commences matters on Wednesday 13th June; the main event begins on Friday 15th June. It is for Gavin Rumgay, a case of Braveheart with the remaining leading names all being from the host nation. Now 33 years old, over the years he has excelled at Grand Prix tournaments organised by Table Tennis England and in 2015 reached the Men’s Singles quarter-finals at the Commonwealth Championships. The top seed but arguably the host nation’s Pak Sin Hyok is the favourite for honours. He is no.2 seed, followed colleagues by Choe Il and Kim Hyong Jin. Notably Pak Sin Hyok, having been the runner up in Pyongyang in 2015, when beaten in the final by Choe Il, is the defending champion. Furthermore, one year ago Choe Il and Pak Sin Hyok, joined forces to win the Men’s Doubles event; they defend the hard earned title. Titles for Pak Sin Hyok and Choe Il, for Kim Hyong Jin, like Gavin Rumgay such an occasion awaits; his best is last year when reaching the semi-final round. The top names but there is also a major contingent from China on duty in the Men’s Singles event in Pyongyang, Cao Wei and Ji Jiale arguably the most notable. 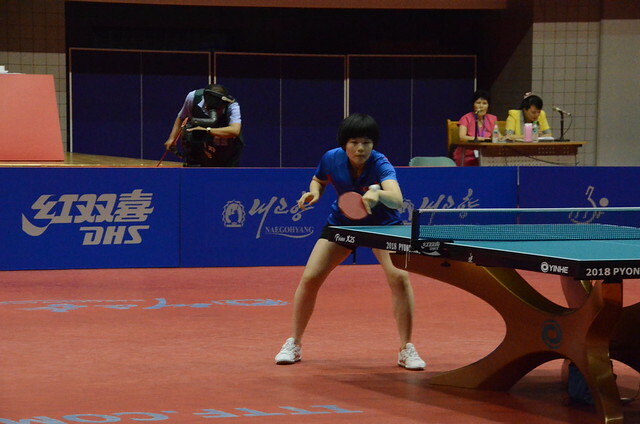 In 2016 Cao Wei reached the quarter-final stage in Pyongyang; in 2015 Ji Jiale was prominent on the ITTF World Junior Circuit. Meanwhile, from Vietnam the names of Nguyen Duc Tuan, Vu Quang Hien and Nguyen Van Ngoc complete the list, all are players trying the establish themselves on the international scene.